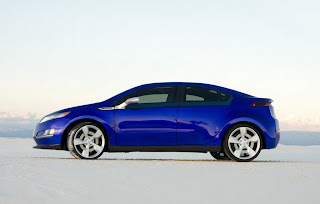 Last week, a Volt donated by GM to a Detroit Public Schools science program garnered $225,000 at auction. That's Rolls Royce territory. Just a few years ago, a previous generation Cadillac failed to recapture its sticker price when auctioned off at a local charity ball. General Motors has a smoking red-hot winner on its hands with the Chevy Volt. The extended-range electric vehicle is sending shock waves through the car-buying market. Already, 250,000 potential buyers have expressed interest in the first 10,000 Volts GM plans to build in the next year. Some dealers have so many customers beating on the doors they plan to add a premium on to the sticker price. There's opportunity here for GM beyond the initial sales. It can use the intense demand for the Volt to shake off any remaining Government Motors threads from its image. Anticipating that the price of such vehicles would be prohibitive because of technology costs, the federal government and many states, including Michigan, offered subsidies to buyers that amount to roughly $7,500. That takes the Volt's sticker to the $35,000 range. It's obvious now that the high price tag isn't a deterrent to sales, and that would-be buyers don't think $42,000 is out of range. The premiums being tacked on by some dealers bring the out-the-door cost of the Volt closer to the original price point, and still buyers are lining up. GM has proven it can build an electric car that excites the market. And consumers are showing they are willing to pay a very rich price for the opportunity to drive that vehicle. It's the law of supply and demand at its finest. 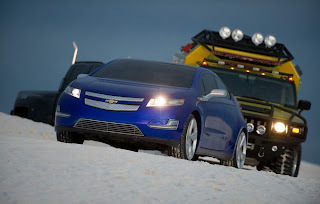 General Motors has done a remarkably good job of opening this new era of the automobile industry. With the reception the Volt is receiving, everyone should be confident that the free market can sustain it. When people get used to the economy and ease of driving the hybrid and electric car, certainly will forget more quickly the gas-guzzling cars. Then, the growth of electric vehicles will be still more exponential.